Is our social behavior an Echo of Physics? Every atom the functions as part of our biological system craves specific relationships with other atoms. There are systems that are geared to satisfy those hungers and other systems, like our immune system, that are geared to reject and expel any elements the “do not belong to the in-group” so to speak. It is this complex social dynamic between physical elements that forms and maintains our biological structure. 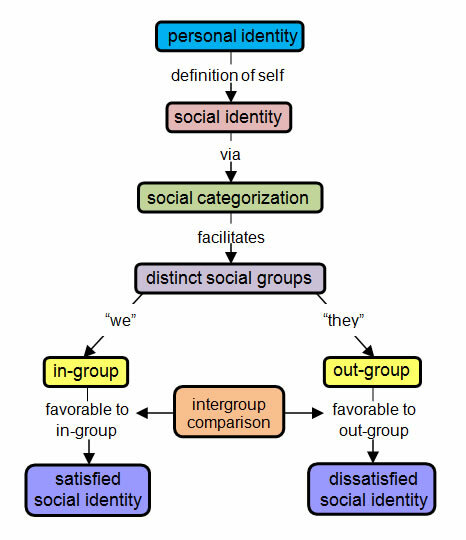 According to Social Identity Theory, comparison with an outgroup is the main engine by which positive ingroup distinctiveness is formed. Experiments conducted by Henri Tajfel and others into the so-called Minimal Group Paradigm illustrate this point well. In the experiments to see what the minimum was to establish an in-group, a number of assumptions, concepts, values or practices were accepted in order to better allow a view of the onset of human group formation and of the appearance of discriminatory behaviours toward out-group. This entry was posted in Wisdom and tagged Awareness, Biology, cooperative nature, cooperative relationships, culture, Developmental biology, Language, life, society, Sociology. Bookmark the permalink.